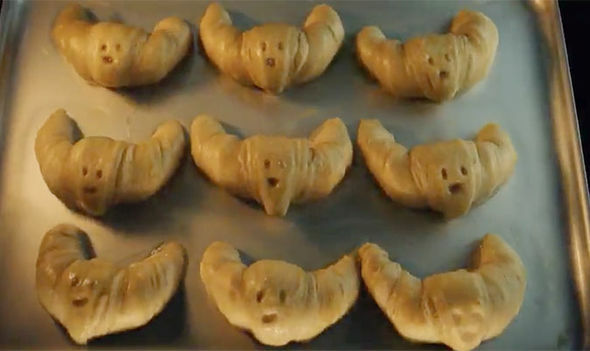 Instead of a traditional live action promotional short for the new season of the BBC’s GREAT BRTISH BAKE OFF, the producers have created a mind-boggling stop motion one- minute animation starring singing ingredients and baked goods. You will most likely be referring friends to see it. 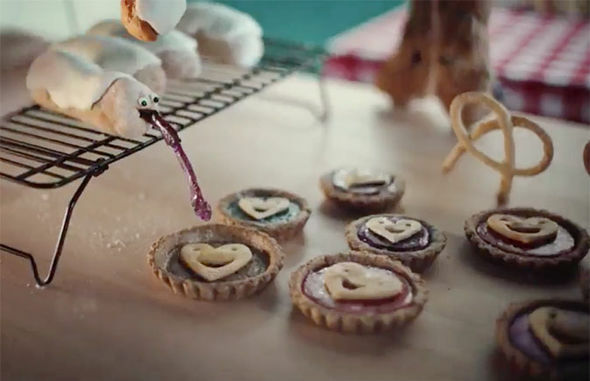 A pile of flour is joined in song by animated rising biscuits, profiteroles, cheese soufflés, croissants, vol-au-vent and slices of rainbow cake with the food coming together in a colorful heap of a cake to the music of Paul McCartney’s Frog Chorus. A total of 335 baked characters were created for the project made from 500 eggs, 62 pounds of sugar and 110 pounds of flour. The short was made by agency 4Creative produced by Blinkink in London and directed by Parabella Animation Studios. “We knew we wanted to ‘bake’ an animation and take people to a warm and comforting place while blowing their eyeballs off their faces,” Mikey Please, co-founder of Parabella, told It’s Nice That. Take a look behind the scenes of the film’s creation.